This is some animations to help you understand how to play Bubble Breaker Adventure. I received several questions for level 92 of series 2 in Bubble Breaker Adventure. 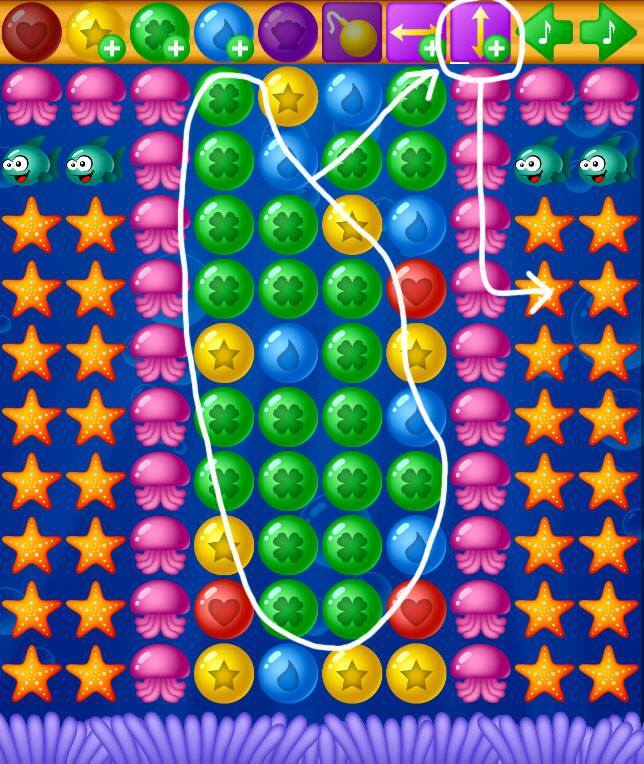 You must use the destructive column to remove starfish. Get points by removing large groups of bubbles and when the power is available, use it and then continue to get more points, repeat 4 times.